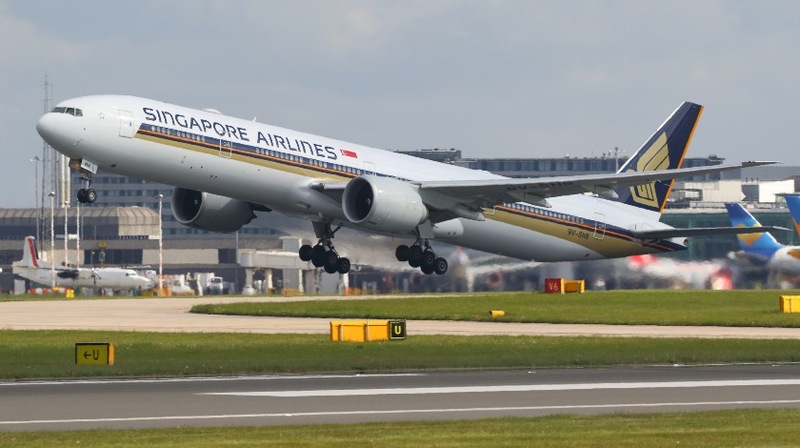 Singapore Airlines (SIA) has formally signed a firm order with Boeing for 20 777-9s and 19 787-10s, for additional growth and fleet modernisation through the next decade. The signing took place today (23 October US time) at the White House in Washington DC, at a ceremony witnessed by US President Donald Trump and Prime Minister of Singapore Lee Hsien Loong. It represents the finalisation of an agreement that was announced in February 2017 as a letter of intent. Signing the agreement for SIA was CEO Goh Choon Phong, with Chairman Peter Seah. Signing for Boeing was Kevin McAllister, President and CEO, Boeing Commercial Airplanes, with Dinesh Keskar, Senior Vice President, Asia Pacific & India Sales, Boeing Commercial Airplanes. The purchase agreement comprises 39 firm orders, as well as six options for each aircraft type – which if exercised will enlarge the deal to as many as 51 aircraft. The firm orders are valued at US$13.8 billion, based on Boeing’s published list prices. “SIA has been a Boeing customer for many decades and we are pleased to have finalised this major order for widebody aircraft, which will enable us to continue operating a modern and fuel-efficient fleet,” said SIA CEO Goh Choon Phong. The 777-9s are intended primarily for long-haul routes and are due for delivery from the 2021/22 financial year. The 787-10s are to be operated on medium-range routes and are due for delivery from the 2020/21 financial year. SIA is due to take delivery of the world’s first 787-10 in the first half of 2018, from a 2013 order with Boeing for 30 aircraft. “Boeing and Singapore Airlines have been strong partners since the airline’s first operations 70 years ago and we are thrilled to finalise their purchase of 20 777Xs and 19 additional 787-10 Dreamliners,” said Kevin McAllister, President and CEO, Boeing Commercial Airplanes. SIA has more than 50 current-generation Boeing 777 aircraft in service. Subsidiaries SilkAir, Scoot and SIA Cargo also operate Boeing aircraft, with 737 MAX 8 and 737-800, 787-8/9 and 747-400 Freighter types in service, respectively.